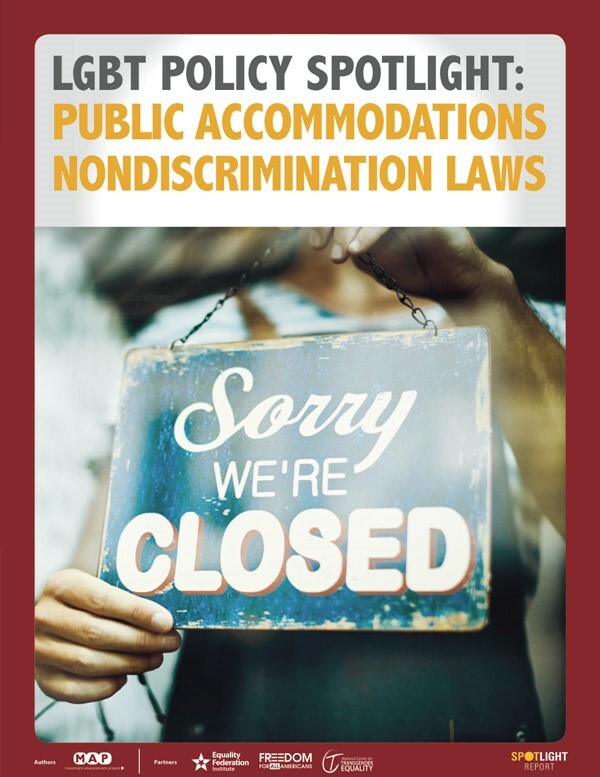 This report LGBT Policy Spotlight: Public Accommodations Nondiscrimination Laws a provides a comprehensive overview of the patchwork of federal, state, and local protections against discrimination in public spaces. Movement Advancement Project. January 2018. LGBT Policy Spotlight: Public Accommodations Nondiscrimination Laws. http://www.lgbtmap.org/policy-spotlight-public-accommodations (date of access).